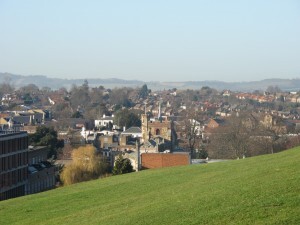 Since helping to defeat the Simons’ proposals for Churchgate in January 2013 by signing the petition, there has been a growing demand from local people that they would like to know more about what is happening in the town centre and be able to influence thinking positively earlier in the process. Hitchin Forum, the Hitchin Society, Hitchin Historical Society and Hitchin Initiative have been meeting over the past several months to explore what would be helpful. In April we jointly produced our contribution to the Council’s Local Plan – Planning Hitchin’s Future – click here. In September we made a presentation to the Hitchin Committee to seek the Councillors’ support for the idea of a Hitchin Town Action Group (HTAG). 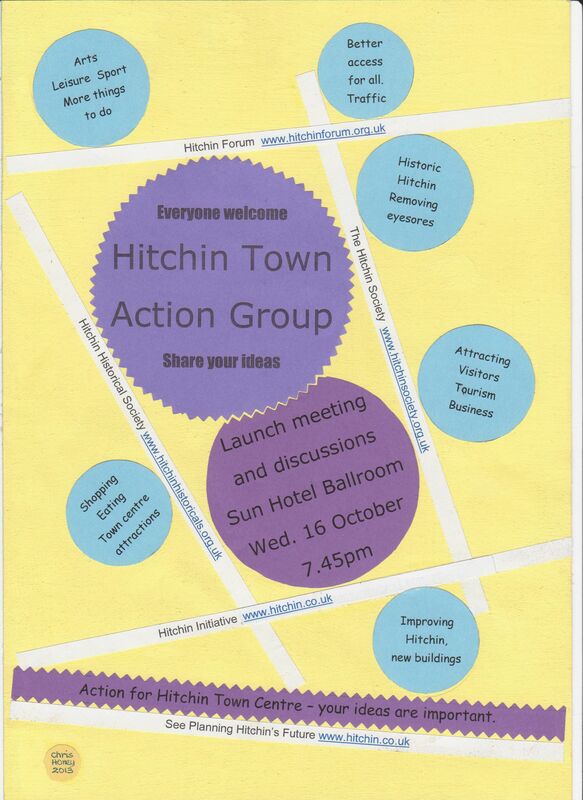 We hope that HTAG can will fulfil the desire to have Hitchin’s residents’ voices heard. · Providing an opportunity for the town’s residents and businesses and all users of the town centre to be kept up to date with what is happening, and to clarify their concerns and contribute ideas. · Giving people the chance to contribute strategically and creatively to the long term future of the town centre, taking into account the wide range of needs and opportunities. · Enabling those with particular proposals or concerns (e.g. a developer or the Market Traders) to air these informally so that they can be discussed in open session as soon as appropriate. · Inviting Councillors to join us, and also reporting back to the Hitchin Committee the range of views expressed on any particular topic so as to inform the Committee of the issues and opportunities being raised. The first open meeting will be held on Wednesday 16th October at 8 pm in The Sun Hotel.Our aim is to involve as many people as possible in and around the town – with a good range of age groups. At the first meeting we will be seeking people’s views on the boundaries of the town centre and on the range of potential issues for consideration. We are assuming that the initial discussions may include Churchgate, but also the other‘opportunity areas’ identified in our joint document ‘Planning Hitchin’s Future’: – click here.